What might be a deeply healthful outlook with regard to emotional, physical, and spiritual dynamics in sexual relationships? Response: Ideally, I believe it is a deeply loving and altruistic amalgamation of all three facets of being – physical, emotional, and spiritual. We are splendidly blessed to have these wonderful blessings/gifts in our lives, most particularly if we wish to take responsibility and benevolently appreciate them. It seems that most never allow themselves to embrace this so-splendid gift in a truly healthful fashion (e.g., a resplendent amalgamation of abidingly DEEP emotional and spiritual love in the practice of sexual dynamics). The physical aspects of such intimacy are so quite important, but even more important is the spirit/heart, e.g., the spirit by which one goes about what one does…most particularly when one’s spirit is full of a deeply healthful spirit of altruism and generosity. This is something that cannot be easily explained through words, but at best, witnessed, experienced, and practiced. Strategically, yet altruistically, it is witnessing and taking part in the living loving story of one’s life, vs. the opposite, being only a pawn to the story of one’s life. Such resplendent love, i.e., consistent with a substantively genuine mien of true appreciation/selfless gratitude, is a significant aspect of a genuinely healthful way of life. It is the right thing for the right sake…it is ‘true health.’ There are magical things going on (not parlor trick magic) inside us, and all around us all of the time. Again, QUITE humbly and respectfully, a majority of us seems not to be trained in, appreciative of, or simply is uncaring of, these so quintessential blessings. Quite humbly and respectfully, I wholeheartedly believe that the most important foundation of a truly healthful spirit (which can lead one to a truly healthful spirituality), is a living loving spirit of dignity, decency, goodness, and grace – EVEN within the dynamics of sexual relationships. In all aspects of human interaction, it is the difference between thriving vs. just surviving. What might it be to be more and more healthful conduits between Heaven and Earth? Response: What you are speaking to is succinctly associated with ALL of the central features of the ages-old traditions that I teach, coach, and endeavor to (hopefully humbly) follow. In those arts, what you speak of is a significant aspect of what we coin as the Theory of Lightness (not to be confused with the Theory of Light (though actually there are some logical similarities). The more healthful we are, i.e., emotionally, physically, and spiritually, the more splendid the quality in which we are conduits of quantum current/energy moving back and forth between (and of) the heavens/Heaven, and Earth. In living things, this can be coined as bio-electric current (chi/ki/pranha). The more and more healthful we are, the lighter and lighter we are (in effect) and feel (vs. pernicious unhealthful heaviness), emotionally, physically, and spiritually…consistently more and more absorbing and transmitting of healthful energy. Accordingly, in our associated ancient Taoist, Buddhist, and Hindu traditions, this energy (in living things – bio-electric current and simply, electric current in ‘inanimate’ matter) is similar to what contemporary empiricists coin as ‘dark energy (some modern empiricists have been studying such theory in the ancient texts of these traditions).’ In the same ages-old traditions, what contemporary empiricists coin as ‘dark matter,’ is similar to a ‘spiritual’ existence, i.e., what can be termed as Heaven…a so-to-speak existence in which there is no time, no space, no distance…but most importantly, nothing to hide behind (hence all is known). PLEASE know I set forth these thoughts humbly and respectfully…it is VERY important to me that you know that I don’t present this in a spirit of selling or pushing this outlook…how dare I if I did! I am ONLY sharing. Such issues as these are traditionally not often spoke of – such things may possibly be better understood (if they are worth understanding!) by each willing person/student of life, i.e., who works at becoming a more and more genuinely honest unblemished Witness (learning to better and better live life as a living loving art form). 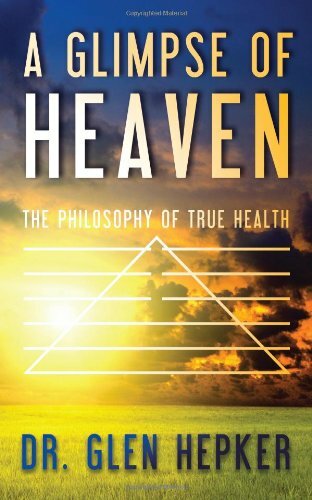 What is the importance of becoming more and more healthful…more and more splendidly healthful ‘conduits’ between Heaven and Earth? In these ages-old traditions, it has a LOT to do with why we are here. First and foremost, it is SO much about a deep, abiding, sparkling spine-tingling/shivering, loving spirit of true appreciation, more and more each moment, more and more as a way of life (true appreciation/gratitude as potentially the most profound of healing mechanisms). This is requisite of true honesty, promoting of true happiness and true freedom (free and light of the terrible weight of craving, desire, and fear of healthful change) – once again, needing less and less to hide behind. 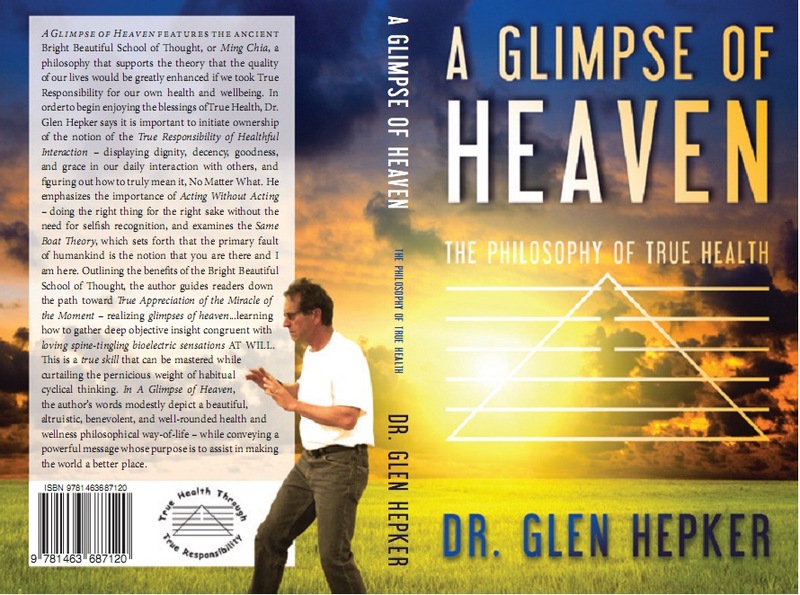 It IS the right thing for the right selfless sake – a SO healthful ‘glimpse of Heaven!’ Oh boy! It is SO much about true health through true responsibility. Can we learn to utilize our ‘spiritual resources’ for healing? Response: Humbly and respectfully, I believe that, in our popular culture it is quite common to look for immediate gratification from outside of ourselves, vs. looking to gather true objective insight from within ourselves. Anything that can be popularly viewed as ‘out in left field’ (in this case most particularly those things which are NOT rooted in silliness, e.g., those things that are rooted in true goodness and true honesty) can seem frightening and/or something that would require substantive change and true effort. We often look to our perceived ‘kings’ and ‘queens’ for how to be, when in fact we would be best served by a truly healthful willingness to make the world a better place by way of our own effort. In the truly loving, selfless, and altruistic spirit of dignity, decency, goodness, and grace, and in genuinely trying to do the right thing for the right sake (without the need for selfish recognition or hidden agendas), it is a ‘glimpse’ of an existence, so-to-speak, where there is no time, no space, no distance…but once again, most importantly, nothing to hide behind – all is known. This can be seemingly quite scary stuff – but in better and better realization of True Health, it can be understood that NOT UNDERSTANDING, not gathering true objective and loving insight, is the most scary and frightening thing of all. Oh boy! Glen, the majority of blogs and articles about fear describe it in negative terms – how fear prevents us from truly living the life we say/think we wish for ourselves, how it keeps us from having, being and doing the things we most desire. Do you think that fear can be a blessing (an inquiry from a reader of my book and blog)? Response: Humbly and respectfully, in the ages-old health/wellness arts that I teach, coach, and endeavor to follow, there is the notion of learning to better and better “embrace one’s comfort and discomfort equally.” It is consistent with forgiveness – forgiving oneself and others for our fears and mistakes in general. It is also consistent with our (in said arts) notion of ‘true love,’ i.e., there is a love which is beyond, yet inclusive of friendship, familial, and romantic love. All of these concepts fall under the umbrella of resplendent genuine effort in learning better and better to enjoy a deep, abiding, loving, quintessential spirit of true appreciation (more and more as a way of life). This is in harmony with the notion that, if there is a Heaven, if ‘there is a ‘key to the universe,’ if there is a ‘sixth sense,’ they are rooted in true honesty, promoting of true happiness and true freedom…but MOST importantly, needing less and less to hide behind. Accordingly, we can become more and more healthful conduits between Heaven/heavens and Earth – promote greater harmony between…AND maybe we can even thus promote a greater closeness/affinity/oneness thereof. Oh boy! This is lovingly, selflessly, and altruistically congruent with learning to meditatively/mindfully (in private AND in one’s daily life activities) play the part of the less and less blemished witness to our internal and external environments. This brings me full circle back to the point of facing one’s fears AND with regard to our fears being potential gifts: Through the wonderfully healthful outlook set forth herein, one can better and better learn to see our discomfort through a more and more healthful lens or spirit. Our fear, frustration, anger, sadness can be witnessed more clearly, for exactly what it is (nothing more/nothing less): We can learn to better and better embrace these negative feelings/thoughts, avoid hanging onto them, and more easily let them go (often the “greatest fear” is of “fear itself” – as Franklin Delano Roosevelt once said). Negative thinking is often cyclical…thinking the same thing over and over and over again. We can more easily learn to abbreviate this heavy cyclical thinking, when we better and better learn to focus more/all on one thing…MOST especially true/loving appreciation. As we gather greater skill in this, we can realize greater and greater levels of lightness – emotionally, spiritually, even physically – AND maybe even more absorbing of light/healthful energy. Fear CAN be a significant opportunity for substantive growth, or it can be a stagnant plateau which, if we get stuck long enough, can be a living purgatory…a living death. In alleviating this awful pernicious weight/discomfort, it may be possible to caste aside what can be among our most chronic of fears – fear of healthful change (often rooted in craving/desire). To put it more simply – it is really, really, really difficult to feel this awful weight if one is not thinking of these things…but more importantly – it is really, really, really difficult to feel fear if one is deeply, healthfully, lovingly, selflessly feeling/enjoying a spirit of true appreciation of the miracle of the moment (and learning to do so, more and more EACH moment – more and more as a way of life). What?! No pushiness, no selling, no proselytizing, no crusading zeal?! Oh boy! Glen, I’ve often seen you express that you don’t believe it is right for you to “argue or debate” anything, including your traditional philosophy (unless on occasion, in being confronted by “hate, greed, or ignorance,” and even then, there being a “fine line,” you have said). Why is this (an inquiry from a reader of my blog)? ~ It is NOT for me to convince anyone of anything; I am ONLY sharing…sharing a philosophy that I believe is aptly coined, i.e., the Bright Beautiful School of Thought/Ming Chia – I don’t take credit for it, i.e., I ONLY learned it and once again, do not believe it is superior to most other belief systems – once again again(! ), how dare I if I did. ~ I have no desire to convince anyone of anything…I am not a ‘light’ who believes I have a dire responsibility to sell, push, or evangelize MY (oh boy!) light on anyone (in most cases I mean this with no disrespect toward anyone who does consider themselves an evangelist). ~ In my arts, it is traditional that one (inclusive of a silly fellow like me?!) can educate/share with the willing, but NEVER in a spirit of competition, ‘one-upmanship,’ coercion, or to control -I share and discuss with those who ask questions/inquire and I instruct students who ask/have a desire to learn; questions are a splendid gift/blessing – most especially when they are asked in a loving, respectful, and altruistic spirit. ~ It is NOT up to me to tell people how to be, it is up to me (if I choose) to share and discuss, IF there are interested parties as such. ~ “Endeavoring to treat others with dignity, decency, goodness, and grace…and figuring out HOW to mean it, no matter what. ~ Endeavoring to do the right thing for the right sake…without the need for selfish recognition or hidden agendas. ~ Embracing the notion that the primary fault of humankind is the notion that you are there and I am here – that we are all so much more in the same common ‘boat’ than we often think and act. What can we do about the ‘ruts’ we get stuck in? Oh boy! Glen, do you have some tips on how to get out of and move forward from being in a rut (a question from a reader of my blog)? Response: I wholeheartedly believe it is of significant importance that we realize that we are ALL in the same common ‘boat’ in this dynamic. Humbly and respectfully, I believe that getting stuck on stagnant plateaus, if stuck long enough, can be (not in the spirit of speaking harshly) like a living death/purgatory. It is consistent with an unhealthful lack of genuine appreciation for the miracles/gifts which are bestowed upon us…inside of us and ALL around us all-of-the-time. I believe it requires significant levels of mindfulness/effort to learn again to embrace a deep sense of true appreciation of the miracle of each moment. Speaking ONLY for myself, I wholeheartedly believe this outlook is consistent with a wonderfully healthful spirit of doing the ‘right thing for the right selfless sake,’ i.e., in saying, ‘how dare I if I don’t!’ This dynamic is inclusive of the notion that a genuine gauge of true health can be realized in a deep and abiding awareness of one’s true responsibility in making the world a better place (each and every day, more and more and more each moment).